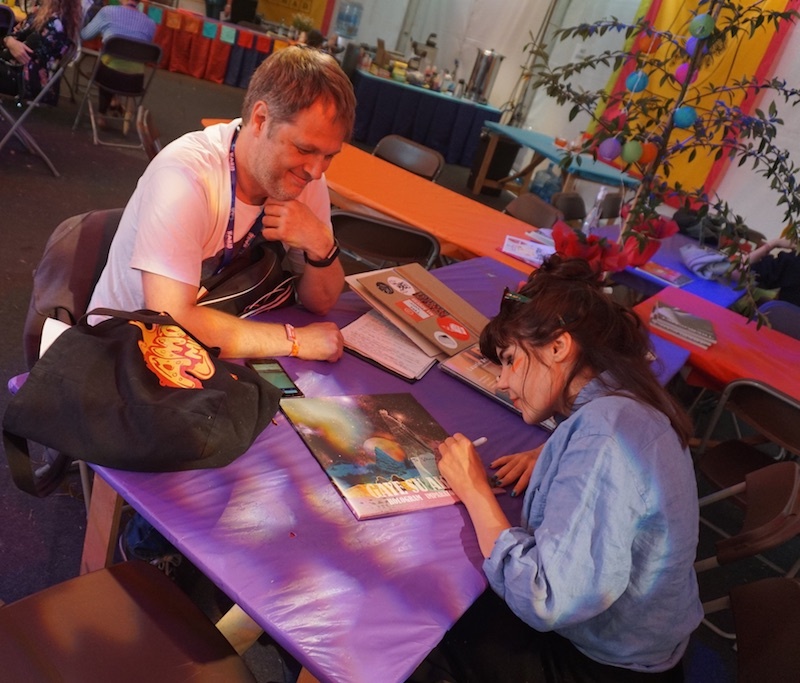 It was great to spend some time with Gaye Su Akyol and her awesome band while they were at this summer’s UK WOMAD Festival. It was also a pleasure to see them perform live again, an experience I’d definitely recommend. The interview took place on 28 July and was published on The Wire‘s website on 15 October. Big thanks to Ali and Ilka for their help setting it up, and to Ilka for the photo of Gaye signing my LP.